For this leg of our River journey, we will be traveling the Upper Mississippi River for 200 miles. At mile 0 we will turn north and head up the Ohio River for a short distance to the Cumberland River. The Cumberland will then join us with the Tennessee River. 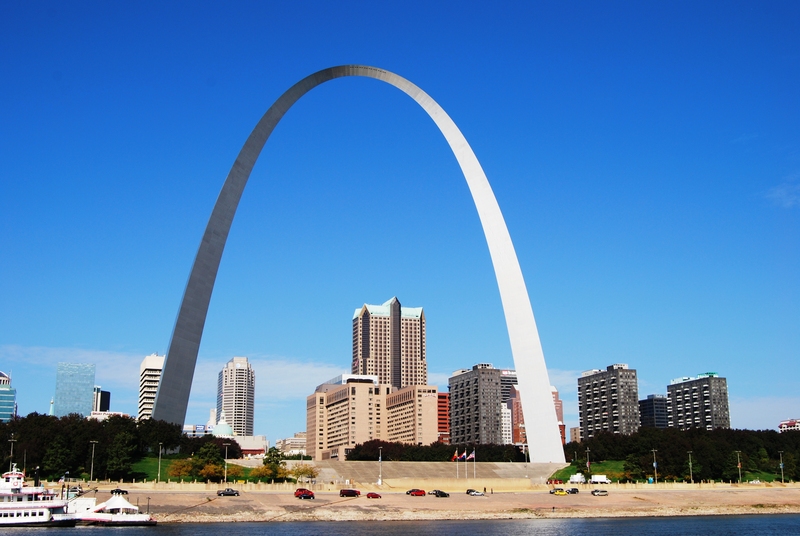 The mighty Mississippi River is the forth longest and tenth largest river in the world. Starting in northern Minnesota it travels southward for 2530 miles to the Gulf of Mexico. The Mississippi River is actually divided into two rivers: The Upper Mississippi and the lower Mississippi. 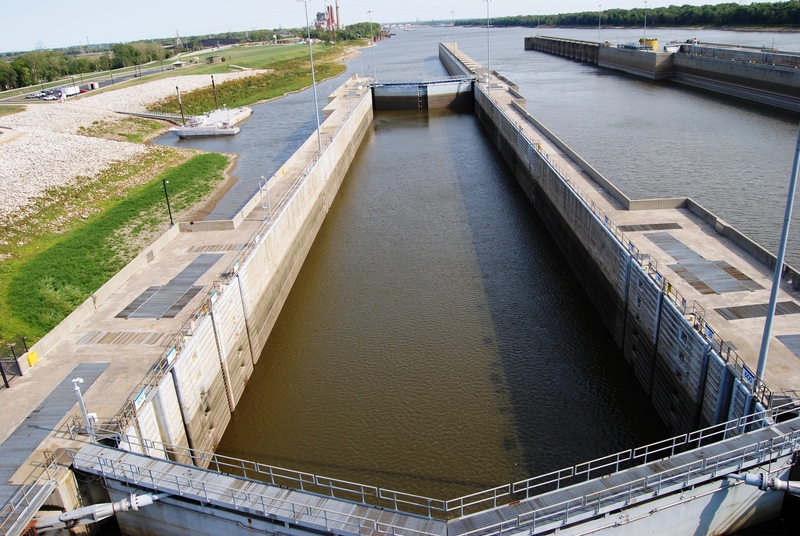 A series of 27 locks and dams regulate the river heights and currents of the upper Mississippi. 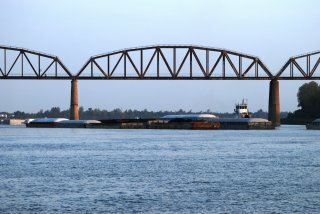 The Lower Mississippi begins at Cairo, Illinois and is a free flowing river with no locks or dams to regulate its flow. We joined the Upper Mississippi at mile 218 where it intersects with the Illinois River. The next 200 miles will be our most challenging of the trip as we navigate the current, wing dams, and floating debris not to mention the massive barges and toes on this section of river. 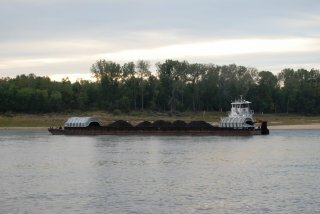 A typical tow on the Mississippi River contains 15 barges, each 200 ft. long. 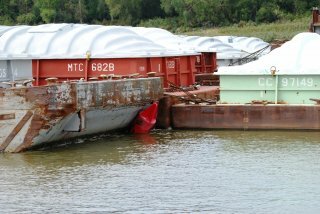 These tows are larger than those on the Illinois due to the fact that past lock 27 there are no obstructions south of here as the river flows free all the way to the Gulf of Mexico. 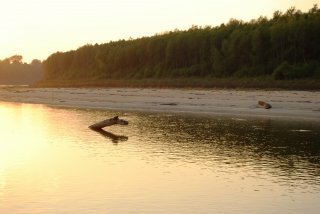 To complicate things even more, the Mississippi is at record low water levels this year due to the drought across the Midwest. Most loopers look back on this section of the loop as the least favorable part of their trip. It is just something you get through as quick as possible. What a Day!!! It started out on the wrong foot and got even more bizarre as the day progressed. What should have been an easy departure from the docks turned into a fiasco. After untying our lines following our standard departure procedure, Jeff puts IT in reverse and quickly notices the boat acting very strangely. We soon discover that we had not untied our port bow line. Normally we do not have this line attached when docking on a starboard finger pier but because we had left the boat for a week, we added this extra line. This was a first for us. Boy did we feel like rookies!! Jeff easies IT back to the dock and I jump off to retrieve the extra line. With that untied, we can finally get underway. Luckily no one was around to witness this goof up. Just downstream of the Marina is our first lock of the day, The Mel Price Lock #26. This is one of the busiest locks with lots of barge traffic. Thirty percent of the worlds grain passes thrugh this lock. 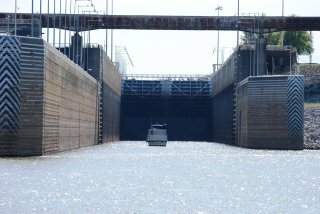 In addition to the large barge chamber there is a smaller lock for pleasure craft and smaller barges. We are fortunate to be directed immediately into the smaller lock. 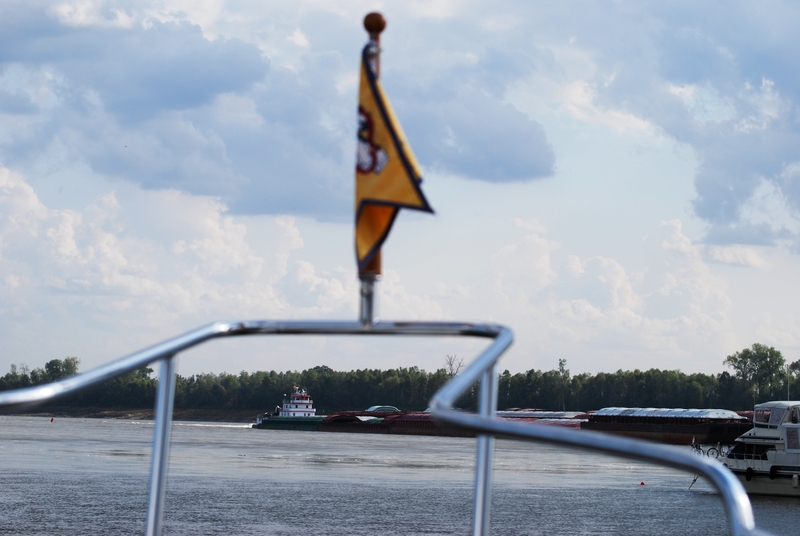 Passing through St. Louis, we have a busy time with lots of barge traffic. 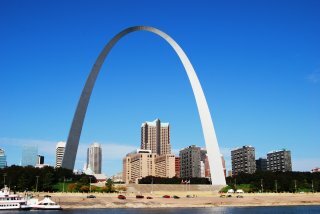 Although spectacular from the water with the famous Arch visible for miles, St. Louis is not boater friendly as there is no dockage available for pleasure boats. 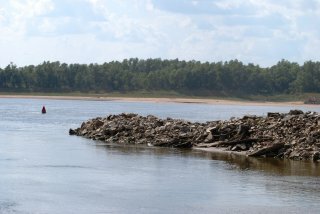 Just past St. Louis is the Chain of Rocks Canal which diverts boats around this shallow and rocky section of the Mississippi River. We again have no wait at our second lock of the day, Lock #26. Coming out of the small lock chamber we encounter a large tow taking up almost the entire channel. It is a little tense as we negotiate the narrow shallow channel along with his massive prop wash. For the next 25 miles, the current noticeably picks up and helps push us downstream to Hoppies Marina, our destination for this evening. For 75 years, Hoppies has been an institution along this part of the Mississippi. There is not much here…just four barges cabled together along the river banks. It is the last fuel and water stop for the next 240 miles. Almost all boats heading south stop for the evening here. 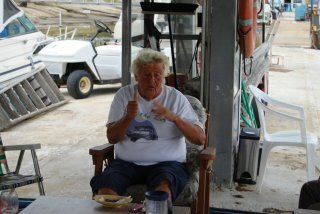 The owner, Fern, gives a daily briefing each afternoon at 4:00 PM. Fern, a colorful character, has lived and worked these waters her whole life and knows the river. Her briefing on anchorages and running the river is invaluable. Just after her briefing this afternoon, we had returned to the boat and settled in for a nice evening. The birds are enjoying some time out on the back deck while we are preparing dinner. A 20 barge tow pushes past us heading up stream. Just then things get exciting. Several hundred yards above the marina, we hear the tow’s engines go to neutral. We immediately poke our head up in the pilot house to see why. At the same time, we see Fern’s husband, Hoppie, and several others running down the hill and screaming “ Untie the boats”. 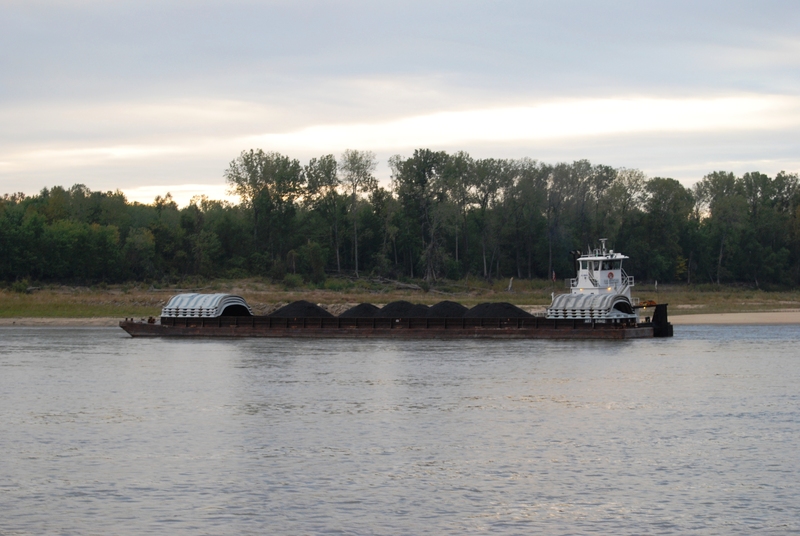 The tow had hit a sand bar and two fully loaded coal barges had broken loose from the tow and were now spinning downstream in the current directly towards us. The barges are less than 100 yards away as we frantically unhook shore power, untie our lines, and start the engines. We are away from the dock in less than 60 seconds. There is no time to put the birds away as we head out into the three knot current and run down stream away from the wayward barges. I was sure we would be crushed against the docks. At the same time, Hoppie immediately jumped into a 15’ John boat and began pushing the bow of the closest barge away from the docks and into the channel. We hovered in mid stream as the barges barley sailed past the marina. Once given the “ all clear” we came back into the docks. We are all deeply shaken but feel very fortunate to have narrowly escaped this disaster. The quick action of Hoppie and his staff saved the day. Had this happened at night the consequences would probably have been much different. The two coal barges disappeared down stream and were not recovered until many hours later. 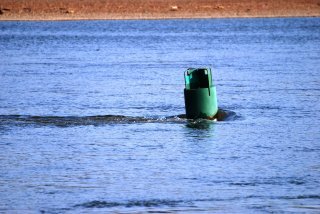 We learned from Hoppie that earlier in the day a tow had taken out one of the red channel markers just upstream of the marina. This explains why this tow had run aground. 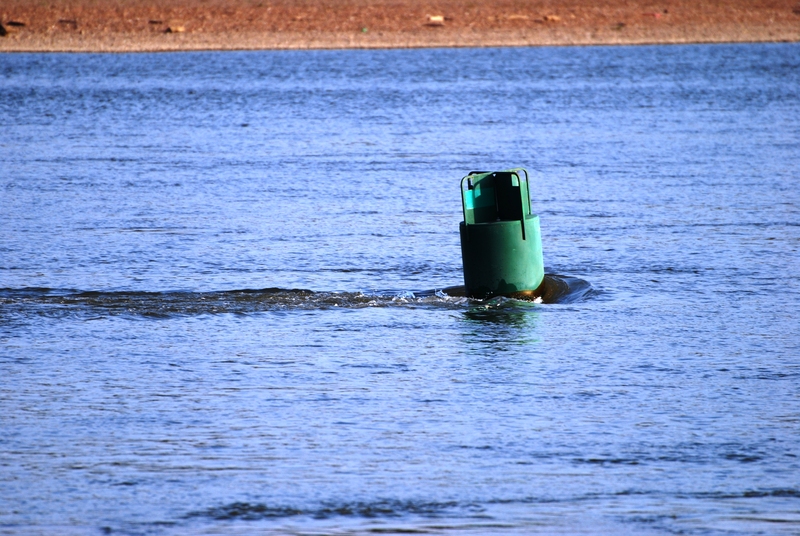 He did not know the channel marker was missing. 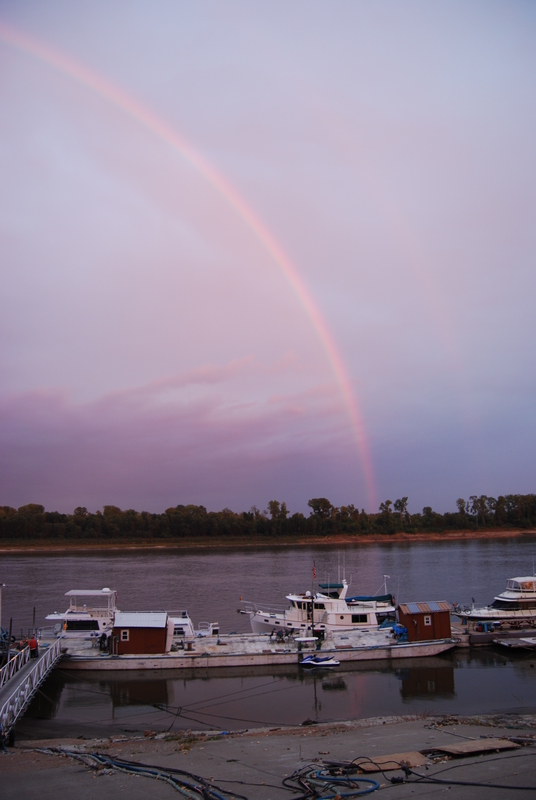 This evening a beautiful full rainbow lights up the eastern sky. Maybe this is a good omen for the rest of our trip. 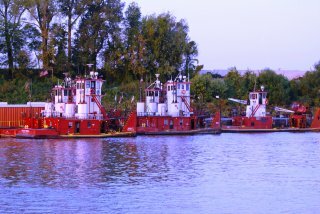 The barges were coming and going all night long. We listened intently to the VHF’s as each tow passed by. 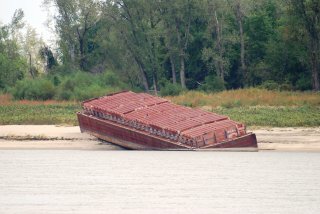 Several mentioned running aground in the same location as the one yesterday. We were up to the pilot house each time to make sure no loose barges were heading our way. Luckily there were none. Away at first light, we soon passed one of the runaway barges as a tow was still wrestling to get a cable on it. As if we weren’t already stressed, we have had a new complication thrown into the mix today. 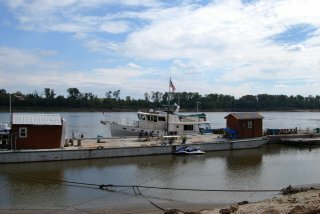 Normally boats run from Hoppies to the Kaskaskia Lock, where boaters are allowed to spend the night along the lock wall. Wouldn’t it be our luck that the Army Corp has decided to work on the lock this week and no boaters are allowed to overnight here. Fern at Hoppies is now directing us to anchor behind a wing dam at mile marker 102. She had a survey boat scout out this anchorage for her and says we should have enough depth to get in. Several boats ahead of us have stopped there with no problems so we should be O.K. There is however a reported 6’ bar at the entrance. We checked the river gauges before leaving this morning and the river dropped .68 feet overnight. The Mississippi can drop as much as 3 feet in 24 hours. We sure don’t want to get trapped behind one of those wing dams. We don’t have many options so will have to give this anchorage a try. The day goes smoothly but we do have several close encounters with the big tows fighting their way upstream. The current is running about 2 knots. At one bend we make a u-turn and head back upstream while a 20 barge tow makes his way through this tight curve. We can then make a much safer pass on the straight away. Reaching our anchorage at mile 102, we see Karma, another looper, already anchored but only barely behind the wing dam. He chose not to cross the 6’ bar and is sitting in a counter current swirl at the entrance. The current is ripping through here and now we have an added challenge of navigating past Karma. We almost bail on this anchorage and continue on….but where else can we go? After studying the current for several minutes, Jeff feels he can safely make it into the inner anchorage. Hugging the rocky wing dam, we never see less than 10 feet and make it into the protected nook. After dropping the hook, our stern is extremely close to shore and we can only let out 30 ft. of chain. After a few nervous hours, we decide to put the dinghy over and sound the area for a deeper spot to anchor. We find 18 ft. of water and re-anchor in a much better spot with now 50 ft. of chain out. It turned out to be a wise decision as no sooner than we had set the hook, a storm blew thru with gusting winds over 27 knots. We held fine and things settled down for a nice evening. We had a peaceful evening at anchorage and were actually able to sleep most of the night. Although the winds were light, we did keep our anchor watch alarm on. 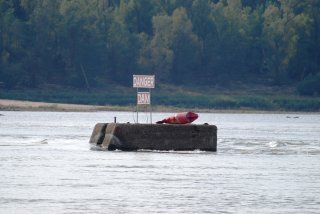 It went off several times during the night as the big barges went by and we turned around in their wake. We were away from the anchorage at first light as today will be a very long day. We need to make at least 100 miles to our next anchorage which again is questionable. Out on the water we have an enjoyable morning with no tows in sight. The river stays wide and deep for most of the trip. In several spots we encounter huge whirlpools and 4knots of current. IT is surfing the pools and we actually see speeds of 14.4 MPH. Who said a Krogen can’t go fast! Where are all the tows? It is almost noon before we pass our first barge. They then come at us one after another. It seems they travel in packs. We also pass the dredge Potter struggling to keep the channel at a minimum 9foot depth. The river is nice and wide today and passing these super tows seems easier than on the narrow Illinois River. Jeff always has me call the tow captains on the VHF as they seem to be much more responsive to a southern female voice. They all have been very nice to us and seem to appreciate our calling to arrange a pass. After another 100 mile day, we arrive to our anchorage, Angelo Towhead, at mile 1.5 on the Mississippi. We repeatedly study our notes before carefully entering the anchorage filled with deadheads. Being nervous to poke in too far with all the logs sticking up out of the water, we drop the hook at the entrance. Karma, who traveled with us today, was brave enough go further up into the anchorage. We are all relieved to find this anchorage O.K. and be secure for the night. Both boats are just outside the marked channel but with a bridge just below us the tows should stay between the center span of the bridge and clear of us. We just hope there are no run away barges during the night to squash us. We must have had at least six large tows pass just after we turned in for the evening last night. Each time we were up in the pilot house just to make sure they passed our anchorage safely. Needless to say, we didn’t get much sleep again. As the sun came up, we followed Karma out of the anchorage. Just one mile downstream, we make our turn onto the Ohio River at mile 981. The Ohio is the only river where the mileage is numbered from it’s origin instead of the mouth. Here at the mouth of the river we begin at mile 981 and will proceed upstream for the next 57 miles. 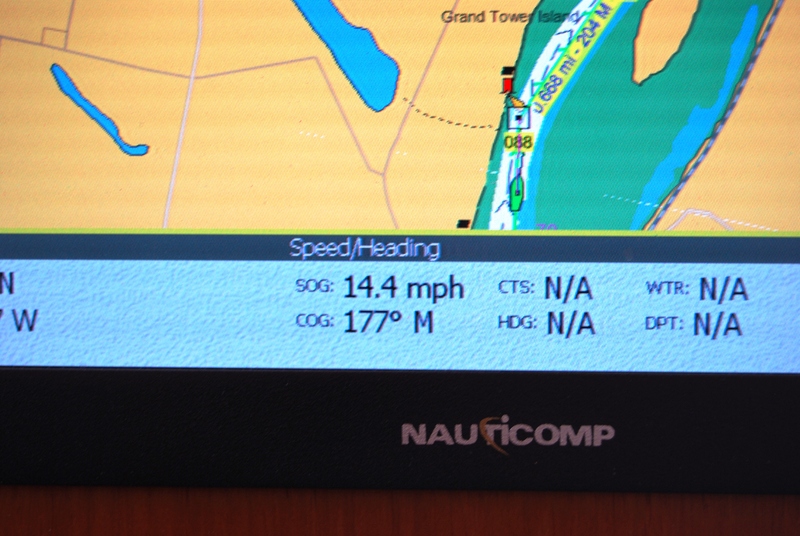 Just after entering the Ohio, our AIS lights up like a Christmas tree. The busy town of Cairo, pronounced Kay-row, is a huge barge fleeting area. There are barges everywhere. It is a busy time as we are constantly trying to determine which barges are moving and which are stationary, who is traveling downstream and who is just fleeting up. We are constantly on the VHF talking with these guys. Our speed has dropped dramatically as we now have a 3 knot current against us. Instead of the 11 MPH that we averaged yesterday, we are now averaging only 7 MPH. Coming to our first lock on the Ohio, Lock 53, we are pleased to find the wickets down. Instead of locking thru, the lockmaster instructs us to pass over the dam. It is a little disconcerting as we go over the wickets. The current is a strong six knots here and we are barely making three knots. A sailboat ahead of us was not able to make it on the first pass and had to turn around and make a second attempt. He had just enough power to make a one knot upstream battle. We continued fighting our way upstream to the notorious Lock 52. This lock has a bad reputation among boaters for delays and a rude lockmaster who doesn’t like pleasure boaters. We arrived to find the area jammed with barges going both up and downstream. Fearing we would be here for hours, we contacted the lockmaster and were amazed when he told us to proceed immediately to the auxiliary lock. All the big tows were going in the main chamber and the small lock was ready and waiting. Once in the lock we found everyone very friendly and helpful, completely opposite of what others had experienced. The head lockmaster on duty today is a female, the first we have seen at any locks. Maybe that explains our royal treatment. The lock Karma is with us today and we feel so fortunate to get through this lock with no delays. Almost all of the other loopers have had 4-5 hour waits at this lock. Just after locking thru, we hear the sailboat call for a lock thru and he is told there will be a 4 hour wait. With approaching thunder storms forecast for later today, it doesn’t look good for this poor sailboat. Four miles upstream, we reach Paducah, KY and Mile 0 of the Tennessee River. We have the choice of entering the TN River here or continuing up the Ohio to the Cumberland River which then joins the TN. We choose the Cumberland River route. 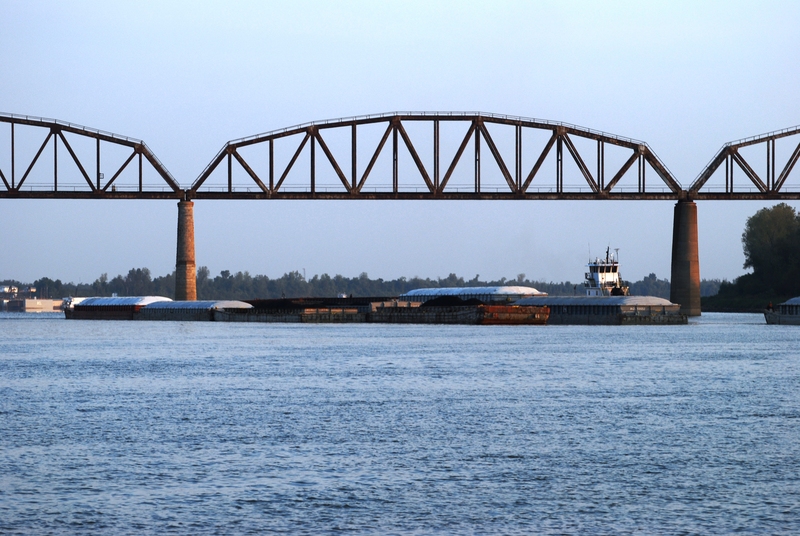 Although this route is 25 miles longer, it bypasses the Kentucky Lock which also has notorious delays and lots of commercial barge traffic. 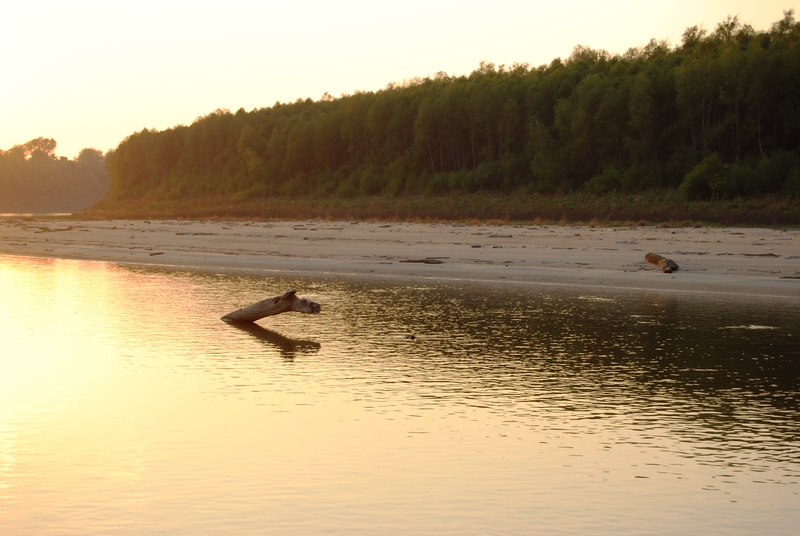 Tonight we enjoy a great protected anchorage behind Cumberland Island. Unlike the anchorages of the past few days, this one offers protection from the tows, current, and wind. Tonight we can rest soundly. We have a leisurely start this morning as we only have a 30 mile day. Karma leaves ahead of us and we enjoy a few hours of solitude at this beautiful anchorage. Once underway we are soon on the Cumberland River and now in a totally different world as we leave the busy “Super Highways” to the big tows. The Cumberland is narrow and twisty also with some barge traffic but these guys are a lot smaller. 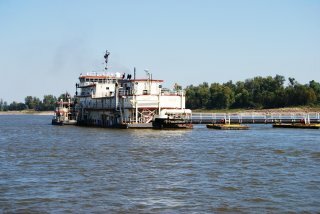 It is a very relaxing trip to Barkley Lock. We see lots of wildlife and very little barge traffic. Life is good! Reaching Barkley Lock, we see Karma as they are waiting on the lock doors to open. We are again fortunate with no wait at the lock and drive straight in. This lock is a big guy. We seem like ants in this massive chamber. We have a 57 foot lift and it gets a bit rough at times with our fenders squashed against the lock walls. At one point I though one of the bumpers was going to pop. Luckily it didn’t and we were soon out of the lock and onto beautiful Barkley Lake. 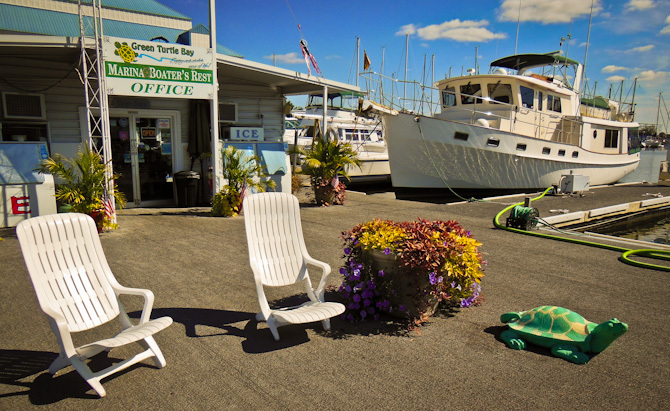 Green Turtle Bay Marina is just ¼ mile upriver and we are soon safely tied to the dock. We will stay here for the next three days before resuming our journey on the Tennessee River as we decompress from our stressful trip on the Mississippi and Ohio. Green Turtle is a great stop with good facilities and several nice restaurant. It is a popular looper stop with over 15 fellow loopers here right now. We are just happy to be here! This entry was posted on October 14, 2012 at 12:16 am. You can follow any responses to this entry through the RSS 2.0 feed. You can leave a response, or trackback from your own site. 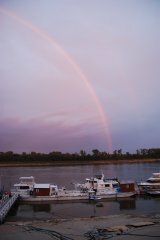 2 Responses to "The Great Rivers Part 2: The Mighty Mississippi River"
As someone looking to travel the Great Loop with my wife JoAnn and dog Kiki on potentially a Kadey Krogen I have found your sight extremely informative, but also very inspirational to giving us the desire to live out this dream. While we spent a week earlier this year doing part of loop traveling ICW from Flordia to South Carolina on Krogen 54 that we charted with Annapolis School of Seamanship to get some training and feel for lifestyle, it still left us with many questions about the best Kadey Krogen for such an adventure. Have you found the Kadey Krogen 48 to be a good choice for such a “Great Loop” adventure, as while we love this boat, I was very concerned that the draft, beam and height whould be a challenge for to many spots along the way, and two large for us (in mid 50′s, my wife with a replaced hip) to handle in some of the canals, locks and small marinas along the way in places like “Trent 7 Waterway”. We really appreciate your website and hope to run into you in the next couple of years. Glad to hear you are through the worst of the trip and winding your way home. I share your embarrassment with the bow line. A couple summers ago we were leaving Harbor Springs (start of North Channel trip) and I convinced Julie she should captain that day. So of course that put me in charge of untying lines. Yep, I missed one and when she hit reverse we immediately spun in the slip…oops. No damage other than to both our egos as half the marina was watching!! :>) So you got off easy! Still two and a half years from our Great Loop trip, but your blog will be a big part of our reference materials as we do detailed planning. Fair skies and no tows to you for the rest of your trip!